At AWA we always celebrate when a ‘new’ painting by a historic female artist is ‘saved from storage’ and delivered to the museum spotlight. 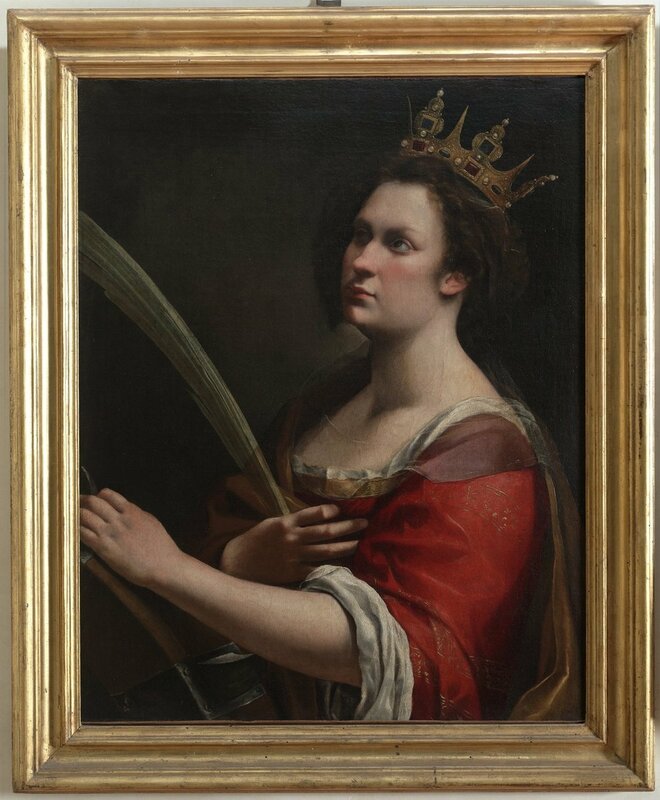 This March, as a wonderful tribute to Women’s Day 2019, Artemisia Gentileschi’s Saint Catherine of Alexandria at the Uffizi Galleries has been restored, and will be (finally!) permanently exhibited in the Medusa Room, with Caravaggio. The saint’s portrait is likely to be a ‘mash up’ between the artist’s self-rendition and a portrait of Catherine, the daughter of Medici Grand Duke Ferdinando, created during Gentileschi’s ten-year stint in Florence. The painting will see the museum spotlight, after multiple non-invasive analyses, using diagnostic techniques, including ultra-violet rays, infrared and x-rays. Restorers Roberto Bellucci and Maria Luisa Reginella soon discovered that underneath the pictorial surface, there lay a pre-existing version of Saint Catherine. The artist had ripensamenti and made significant changes to the protagonist’s hand, veil and headdress. The underdrawing shows Saint Catherine wearing a turban, which makes the Uffizi painting nearly identical to the Gentileschi work recently acquired by the National Gallery in London.